From Oct 7 to Oct 16, Youth Olympic Games will be held in Buenos Aires. RG competition is from Oct 9-10 (team and qualification) and Oct 16 (AA final). This time a mixed multi-discipline team competition will be held. YOG pits gymnasts from multiple disciplines and nations together in innovative team competition. Competitors have been drawn into 12 teams of 13 athletes each, comprising of one Acrobatic pair, three Men’s Artistic and three Women’s Artistic gymnasts, three Rhythmic specialists and one female and one male Trampoline gymnast. 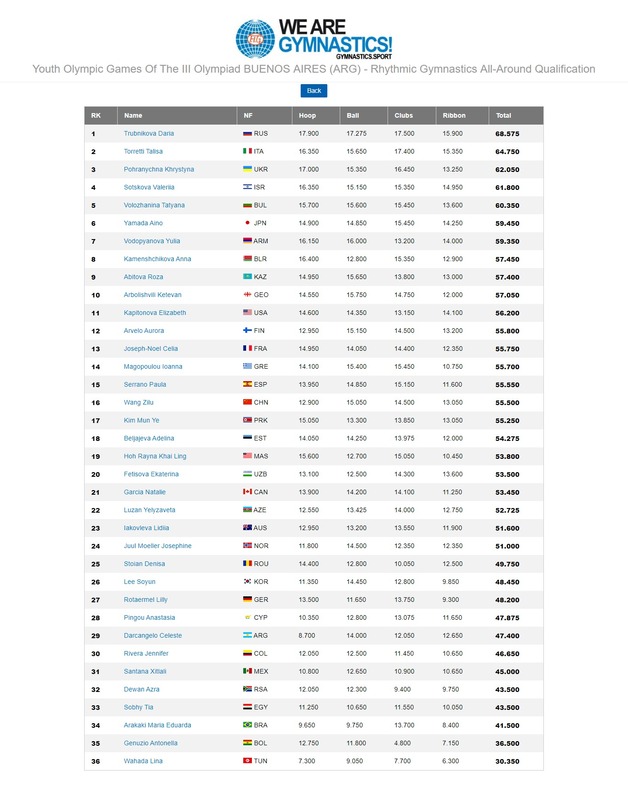 Results for the team competition are calculated by adding the rank obtained by each gymnast within their discipline. The winners will be the team with the lowest total. Providing the first of 17 medal-events across the sport of Gymnastics, the team competition will act as the qualification phase for each discipline. please read the detailed information about team competition here. 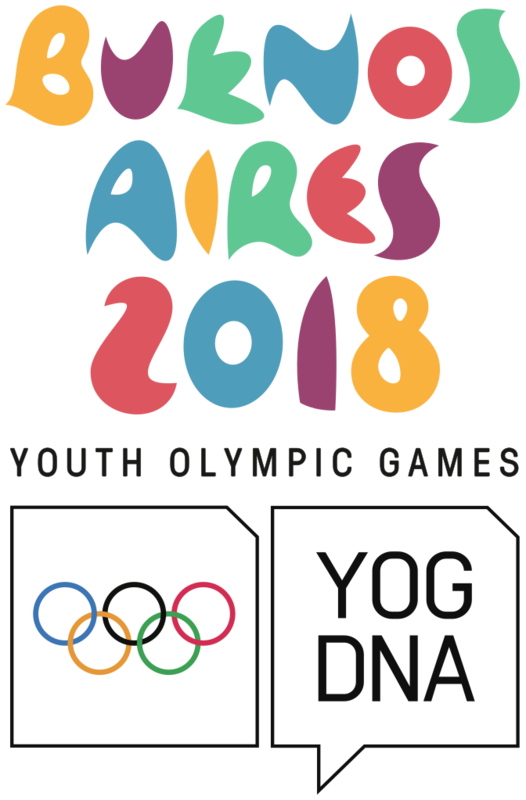 This entry was posted in Event and tagged Buenos Aires 2018, YOG 2018, Youth Olympic Games 2018. Bookmark the permalink. top 8 gymnasts qualified to AA final.